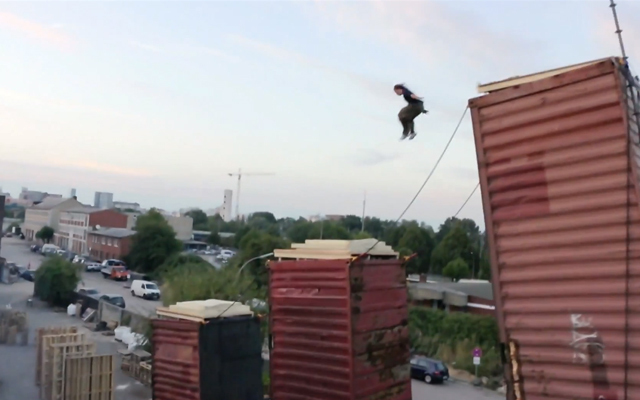 Frankfurt, Germany freerunner and parkour enthusiast Jason Paul, his Team Farang parkour pals, and many others friends, teamed up in Hamburg at an abandoned factory to control and freerun through an amazingly complex human-powered Rube Goldberg machine sponsored by Red Bull. The machine is filled with insane obstacles, chain reactions, stunts and excitement. Getting from point A to point B never looked so difficult / awesome.